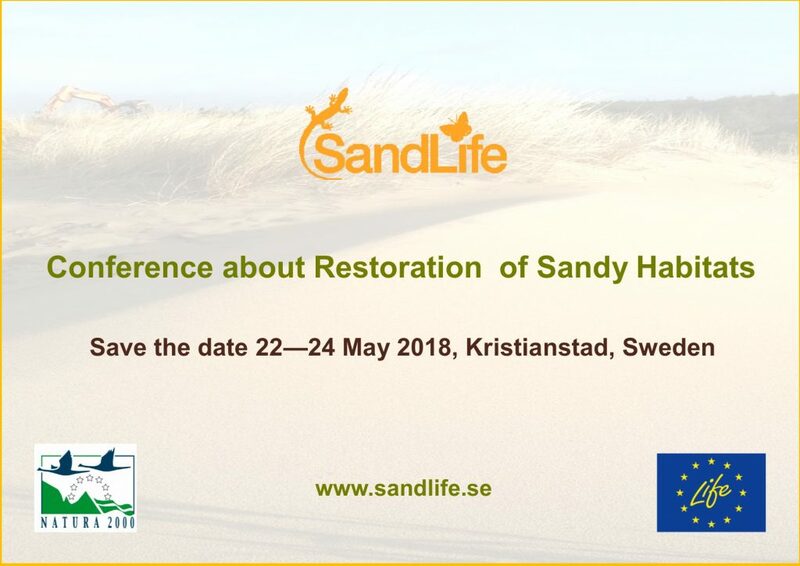 The project Sand Life runs into its last year and during the project period a lot of actions have been done to improve the sandy habitats of southern Sweden since the project starts in 2012. Please, come to the final conferense for the project, held for three days during 22 – 24 of May 2018. The conference will be held in eastern Skåne in southern Sweden. Information about the conference program and how to register will be available soon on this website.